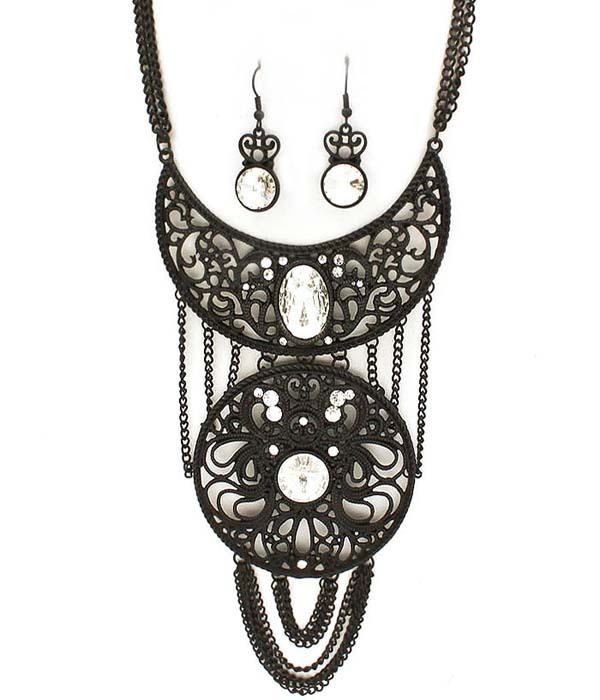 Wear Jane bib necklace set as a statement accessory with a simple dress. The necklace features a moonlike detail and a large circle linked by many chains from all sides. Large clear glass stones add sparkle to the design. Order this gorgeuous necklace now from Australia's fastest growing online jewellery store.